Schools, colleges, universities and such other educational institutes have to do a lot of paperwork from the time of admission to everyday activities like taking attendance, creating question papers and report cards, etc. While computers have taken the place of papers for most of them, all these processes are still scattered and take a lot of time to maintain. This is where the ECAS or Enhanced Campus Automation System comes into picture. Each of these categories or operations has sub-categories to ensure that the processes get done in an organized manner. 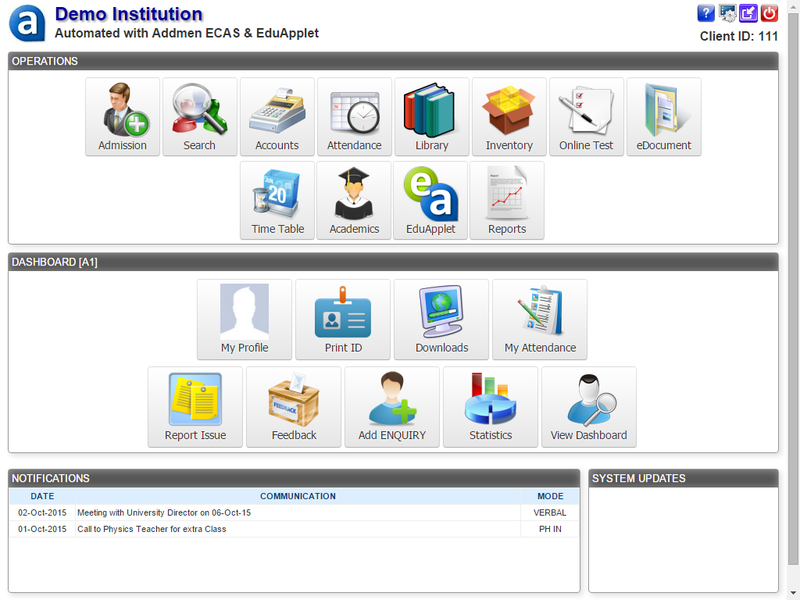 The best thing about ECAS is that it can be customized. The software has the feature of client-end customization. You can add and delete admission forms and such other things to suit your needs. It is possible to define the course structure and fee structure as per your requirements. The reporting software provides a variety of formats and layouts for the user to select from while generating reports. In short, it is possible to customize the reports too. The system can be integrated with OMR software, question bank software as well as with Android. 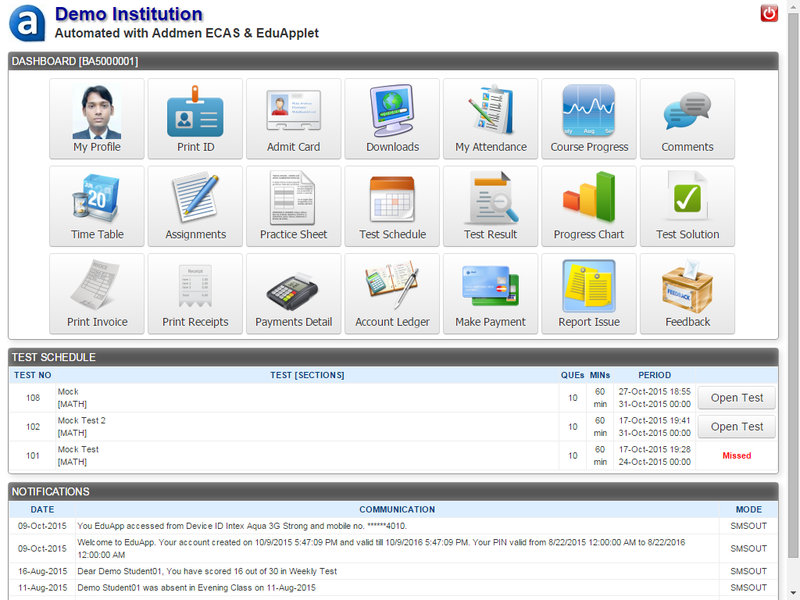 There is also an integrated SMS facility with which it is possible to send SMS on reports, attendance, notices, etc. to the students, their parents or guardians. On the dashboard section, the user can check his/her profile, attendance, feedback given by students, download documents, print invoices and receipts, verify the ledger and make payments. ECAS has made the life of several educational institutes easy. This system saves lot of time which could be used in the growth and development of the students as well as the institute.